Unfortunately, we do not allow customers to change their address once an order has been placed. We are able to cancel the order, as long as this has not been shipped and you can replace the order using the correct address. You can track your order once it has been collected from our pharmacy by Royal Mail. Your tracking number will be sent to you via email, and you can track your order here. 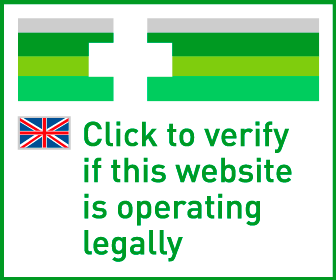 Please note your order will only be trackable and recognised on the system once collected from our pharmacy. Unfortunately, you cannot return prescription medicines. You have the right to reasonably inspect your medication, but you cannot return items that you have used, unless you are returning them because they have arrived damaged within the first 30 days of purchase. Refunds are credited to the original payment method used and will take 5-7 working days to be credited to your account, depending on your card provider. After completing your order you will be able to see when you can next reorder by logging in and visiting the product page. This date is not guaranteed and as all orders are subject to approval from our doctor and cleared by our pharmacist. How can I place a new order? Do you sell medicine that’s not listed on the website? No, we only prescribe medicine that is listed on this website. Can orders be made by phone? No. To place an order, you must fill in the online questionnaire and submit it for the doctor to review. This cannot be done by phone. Are cancelled or declined orders refunded? Yes. All declined orders are refunded in full to the original card used, please note this takes 3 – 5 working days. Can the progress of orders be checked? Yes. You will be notified about the progress of your order via email. You will receive an email to let you know that your order is awaiting the doctor’s approval, when your order has been approved or declined, and an email once your order has been shipped. No. At this time, we are unable to process orders from outside of the UK. Can I order medicine for my child or partner? No, the person ordering needs to have their own account. The questionnaires need to be completed by the person ordering the medicine.